In the car rider line with a book of poetry, I find the world shifts into a slightly better frame for me. The beautiful Gnomon today, by Cynthia Huntington (Jacar Press, 2017). This whole chapbook works like this. “… climb and descend, climb and descend” … seeking and finding God at each unexpected turn, from a green star to a horse alone in a pasture. Love and sorrow, the sweetest loves, the sweetest joys — and every poem in this chapbook is a door. Honestly, this is poetry I wish I’d written. And just like the hike through the woods that you wish would last longer, this is a short read — only 20 pages — but what a lovely journey. And the poems, like trees, clear our heads, somehow remind us who we are. If you pick up this chapbook, let me know what you think. Sharing this important comment on our culture, our silence, the racism in our country today. From Richard Krawiec. Today’s the official book launch for Richard Krawiec’s Women Who Loved Me Despite (Press 53), and next Saturday April 11, Women Writers of the Triad is thrilled to host Richard‘s reading over at Tate Street Coffee House (7:00-9:00p.m.) along with Crystal Simone Smith. Bios and poetry will be posted over on the event page– please make plans to join us for a wonderful reading. If you’d like a copy of Richard’s book, it’s available for online purchase at any Indy bookstore near you, and in North Carolina at Flyleaf Books, The Regulator Bookshop, Quail Ridge Books & Music, City Lights Bookstore, Scuppernong Books and Pomegranate Books. Please support an Indy store! Richard will be donating 100% of today‘s author proceeds to a local literacy council. What have others said about the book? Richard Krawiec is the author of two previous poetry collections, including She Hands Me the Razor (Press 53, 2011). His work has appeared in dozens of literary magazines, including New Orleans Review, Drunken Boat, Shenandoah, sou’wester, Dublin Review, Chautauqua Literary Journal, Spillway, North Dakota Quarterly, and Blue Fifth Review. In addition to poetry, he has published two novels, Time Sharing and Faith in What?, a story collection, And Fools of God, and four plays. He has been awarded fellowships from the National Endowment for the Arts, the North Carolina Arts Council (twice), and the Pennsylvania Council on the Arts. He teaches Beginning, Intermediate, and Advanced Fiction Writing for the University of North Carolina-Chapel Hill Courses Online, for which he won their Excellence in Teaching Award. He has facilitated writing workshops with children and adults in homeless shelters, women’s shelters, prisons, literacy classes, and community sites. He is founder of Jacar Press, a community-active publishing company. A wonderful way to support a local, independent press this holiday season. When you order The Sound of Poets Cooking and What Matters for your Kindle or Kobo reader ($4.95 each), you receive a print copy of … and love … for FREE. SOLD OUT IN PRINT | Sometimes poetry, sometimes recipes- and sometimes the recipes are poetry. Featuring work by five dozen poets, including NC Poet Laureates Fred Chappell and Kathryn Stripling Byer, and dozens of other nationally celebrated writers. The poems alternate with recipes written by the poets, their family members, lovers and friends. The writing is at turns sensuous, hilarious, elegant, and playful. The recipes range from Asian, through European, to Middle Eastern dishes, as well as regional favorites from across the U.S. There is something here for every palate, literary and culinary. A beautiful and moving collection of poetry about that which matters most. Poems by Pulitzer Prize winner Claudia Emerson, MacArthur Foundation Genius grantee Thylias Moss, National Book Award finalist Alan Shapiro, Yale Series of Younger Poets awardee Fady Joudah, and 90+ other writers. Questions, answers, meditations,and explorations on the why and how of living. After your order, e-mail us to receive your FREE print copy of …and love…. Poems by Marge Piercy, Sam Hamill, Dorianne Laux, Ron Rash, Lola Haskins, Stuart Dischell, doris davenport, Fred Chappell, Kathryn Stripling Byer, Alan Michael Parker, Michael Chitwood, Betty Adcock, Joe Millar, Nancy Simpson, David Huddle, Holly Iglesias, Dannye Romine Powell and 100+ other poets. Lovers and spouses. Sons and daughters. Parents, friends, strangers, pets. First love, last love, dying love, passionate love, sad love, wasted love, devoted love; love of body, love of spirit, love of self, love of place, love of time, love of moments, love of love. Love that shivers, fizzles, shimmers, love that fades, dissolves, grows bitter. Love that races ahead, love that lingers. Comfortable love. Edgy love. Hungry love. Discarded love. Love that can no longer be called love. Love too great to be contained in one word. We’ve been lucky in love. Love has come to us in abundance. Or love has been withheld, denied, stolen, broken. We’ve stumbled on love, we’ve chased after love, we’ve driven into the storm of it. We’ve courted love. We’ve been stalked. We’ve fallen. We’ve soared. We’ve despaired. We’ve shared love, been lonely in love and been, well, awake–in all the ways that make the breath come quick–all for the sake of three words. Whatever it brings, love is the only thing that makes everything else ring true. 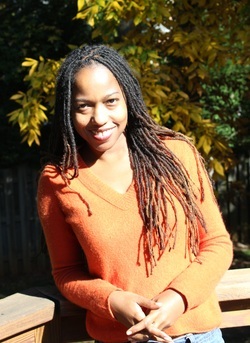 Women Writers of the Triad is honored that Jacinta White will be joining us to talk about The Word Project. Sunday, June 9, 3:00-5:00pm Deep Roots Market. Come early and grab a bite to eat.